Bonita Park provides many of our activities for your group at no additional cost! As your group participates in paintball, the rockwall, zipline, sand volleyball or competes on the activity fields they will become a more unified group as relationships are built. The activities we offer are fun and also have spiritual applications - devotions can be provided for many activities. These devotions can be used in the evening services or by counselors during share time. Many of Bonita Park's activities are facilitated by our activities staff members. Staffed activities can be scheduled through our guest services team who will work with you to find the best fit for your groups other schedule needs. Conquer your fear of heights as you climb a 47 foot ladder, step off the tower and fly through the air on a 500 foot zipline - our trained staff are waiting to catch you at the other end. Bonita Park has a world class climbing wall located in our Events Center atrium. There are many unique top roping routes as well as a bouldering section. Our climbing wall is the third largest in the state of New Mexico! Our Leap of Faith has become one of the most popular activities at Bonita Park. Climb up the ladder and jump out to grab hold of a trapeze bar or punching bag and be lowered to the ground gently by an automated belay system. Traverse from tree to tree on our outdoor high ropes course. Build your courage by completing our three unique elements. Meet your personal and group goals through a series of elements while you cross an acid sea, walk through a maze, or navigate a minefield in our challenge course. Challenge course is great for team building. 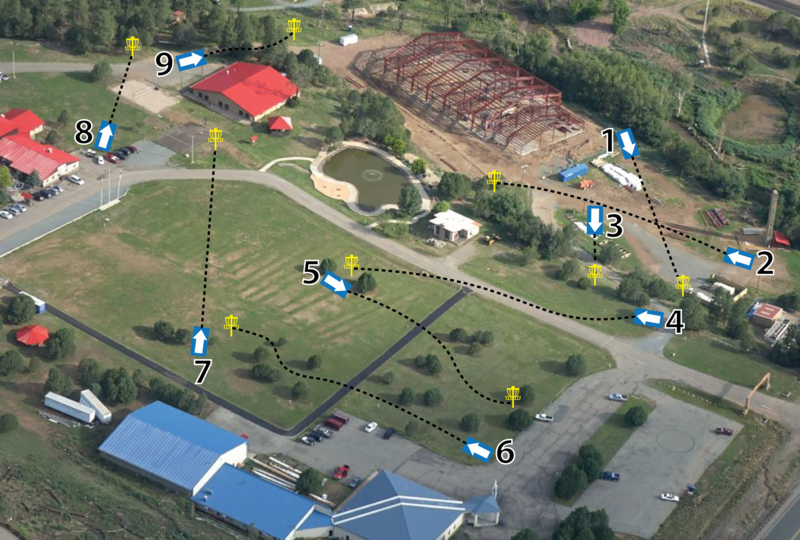 Our paintball course has several unique features including trees, pallet forts, and other obstacles. Play capture the flag, team competitions, or free for all. Rappelling is a technical mountaineering skill that involves a controlled descent of a vertical drop on climbing rope. If that sounds very technical and challenging it's because it is! Don't worry though, our trained staff will walk you through each step. Enjoy the cool mountain air as you sit around a crackling campfire. Bonita Park has three unique fire pits, one which can host a large group and two that have a more intimate forested atmosphere. + campfires are not fully staffed activities but we will have a staff member light and extinguish your camp fire. Bonita Park also has a variety of activities which do not require Bonita Park staff. Enjoy our indoor pool, our great sand volleyball court, or several other features. Summer groups and ski retreats alike can enjoy our heated indoor pool and hot tub. Enjoy a game of volleyball and some time in the sun on our newly renovated sand volleyball court. Volleyballs are available to borrow in the camp office. Bonita Park is home to an 18 hole mini golf course. Keep score for competition or play a round just for fun. There are a variety of moderate and challenging holes to play. Enjoy the beauty of the mountains and forest on our nature trail. Our guest services team would love to talk with you about how to help you bring a group to Bonita Park.